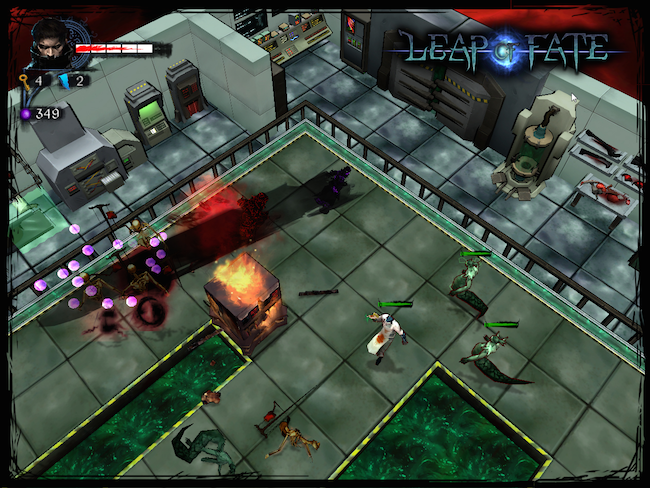 I had a chance to play the Early Access build of Clever Plays' Leap of Fate before my appointment with them at PAX, so I was excited to be able to jump right into the conversation with the developer, since I'd already experienced the bulk of the Early Access content. 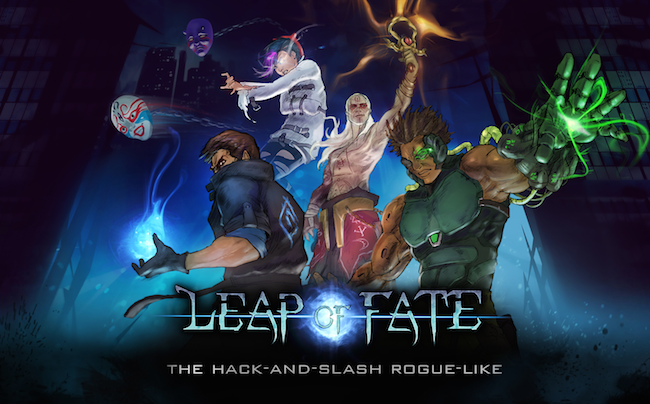 I've been enjoying an absurd number of random indie titles recently, and Leap of Fate jumped out at me as something that warranted a serious time commitment. It's a cyberpunk setting, with the playable characters labeled as "technomancers," who are gifted with special powers, like Shadow Walk, which dashes you through enemies unharmed, allowing easy escape from dangerous situations. It's a rogue-lite, so you've got some access to persistent character upgrades, most of which are locked behind achievements. 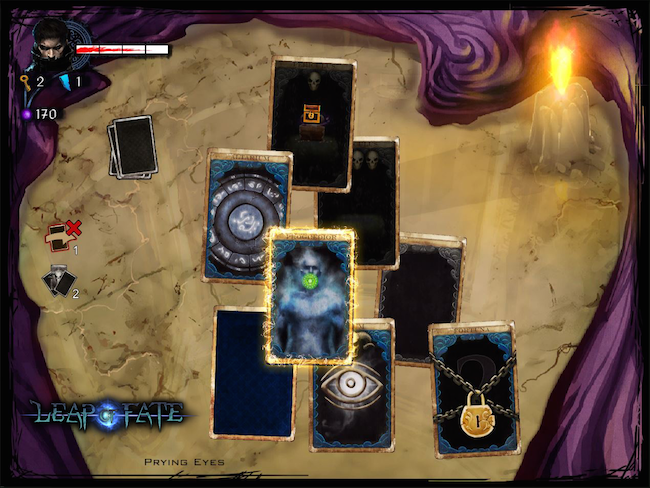 Each time you start a game, you'll be presented with a roughly pyramid-shaped selection of face-down tarot cards. You'll always need to complete the first, at the peak of the pyramid, but as it expands going down, you'll choose which path to take, aiming ultimately to find the level's boss, kill it, and move to the next stage. Every card offers some sort of encounter, with the most common being a combat situation - where you'll have to take down one to three waves of enemies - which is usually attached to a chest of varying size and value, that you receive upon completion. The first wave of enemies triggers on entering the top-down combat view, but additional waves only spawn when you trigger the glowing spawn points, so you have a chance to breathe between particularly rough clusters of bad guys. Chests provide mana, which is a resource you'll spend to unlock temporary character upgrades, which only last for the duration of your current run. You'll be able to unlock powerful modifications to your abilities, like a damage component to all enemies you Shadow Walk through, as well as health boosts and an impressive variety of other buffs. Your Shadow Walk is a staple, which you'll always have - you probably wouldn't last long without it - but your Glyph is a special move that you can change as you progress through a run. There are currently around 15 Glyphs in the build, and I'm told there will be around five more coming over the next couple of months, prior to its target Fall release. The Glyphs vary dramatically in effect, like the Homunculus which summons a giant golem to smash your enemies for you, as compared to the crux, which shoots bolts in the four cardinal directions from the targeted location. Each Glyph helps to enable different playstyles, though no single ability will overhaul the experience, as they're often more of an emergency button than a primary offense. The current build has two characters available, though you have to unlock the second technomancer, just like you do the persistent character upgrades. 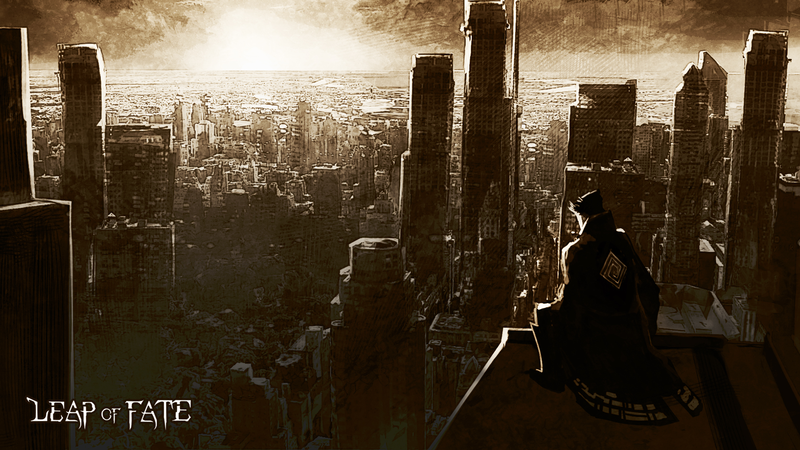 There's a third planned in the next few weeks, and a fourth will be available at release. The two available characters are wonderfully distinct, so a run with the first character will be a wholly different experience than a run on the second. I expect to see a similar level of distinction with the others, particularly because they teased a melee character, while everything I've seen has been entirely focused on ranged combat. Each of the characters also has 10 persistent upgrades that can be unlocked by completing achievements, and every single upgrade I've unlocked so far has had a dramatic benefit to the power level of my character. For example, you'll start out with only four health, but an early upgrade gives you two more, which is a huge boon to survivability. One of my only gripes about the current build is the lack of controller support for a game that seems like it would accommodate it so well, but the dev explained that it's a feature they're working on, but it requires a bit more planning, due to the incredible importance of being able to target some abilities, like Shadow Walk. A poorly targeted SW will almost always result in an enemy getting a hit in, and it's challenging enough to stay on point with a mouse, so I can appreciate the difficulty they're encountering. I was surprised to see that they're even porting it to tablets, and had a playable tablet version available on the floor. 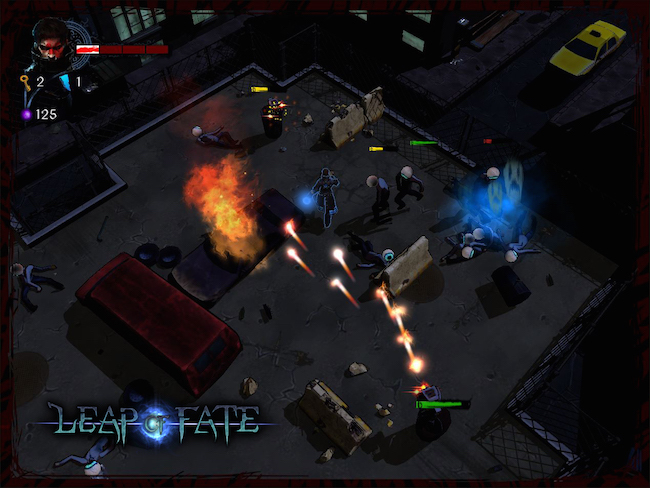 It required some tweaks to make the targeted abilities work properly, but they did find a very clever solution; activating a targeted ability initiates bullet time, so you'll have a bit more time to point it at the right spot to keep yourself safe, even if there's a bullet flying straight at you. A particularly curious thing about Leap of Fate is the unmistakable similarities to another title from earlier this year, Hand of Fate, which I enjoyed tremendously when it came out. I asked the dev about this, which elicited a highly entertaining response. He seemed taken aback at first, but then gave a wide grin before explaining what had happened. 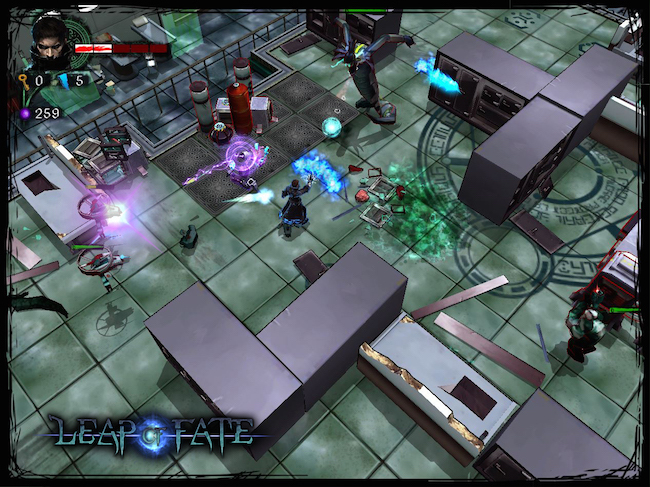 Apparently, they'd begun development on Leap of Fate shortly before the Hand of Fate Kickstarter went up, which they instantly recognized as a hyper-similar design. 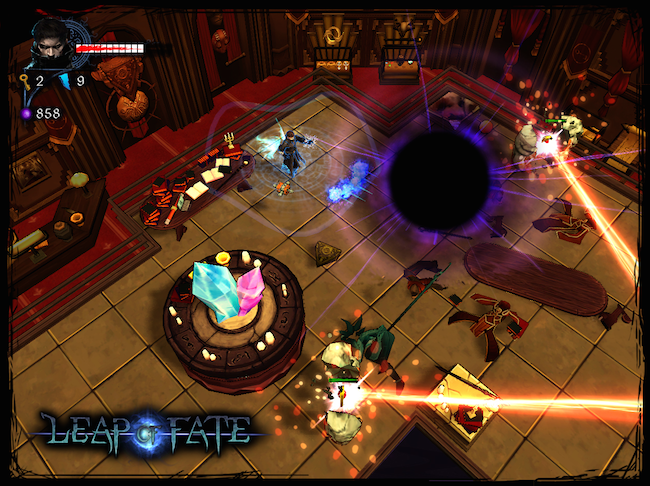 It turns out that despite the incredible similarities, the games themselves are more complementary than they are identical, as Leap of Fate is focused primarily on making the combat engaging, while Hand of Fate's focus was squarely on the role of Fate in your experience, with the combat being a minor diversion. 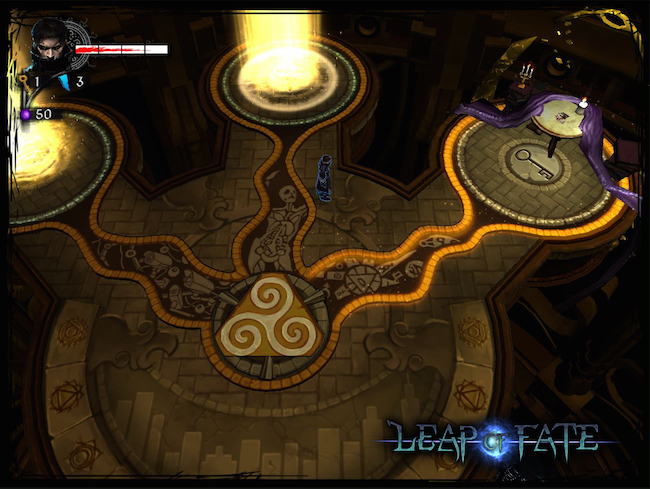 Leap of Fate should be seeing a fall 2015 release on Steam for PC, though they're planning to offer Mac and Linux sometime after the dust from launch settles. If you just can't wait, though, it's available on Early Access right now, or on the PAX floor, if you're at the show.